Social media changed the way people, brands and businesses interact. Everyone has an equal voice and immediate access to a vast amount of networks and followers. Companies, today, are integrating social media into their marketing plans and investing part of their budget in managing and optimizing their social presence. Whether a B2B or B2C, smaller or large organisation, there are incredible opportunities to take advantage of social space. Opportunities such as capturing leads, generating sales, creating real-time customer service and a better understanding of the target audience, are some of the things that companies could benefit. Implementing a social media strategy not only will connect the business with millions of people but it will also generate a brand new type of interactions between the company and the customers. Social media represents the second most significant source of traffic, behind direct traffic, which means that companies and brands shouldn’t neglect the opportunities that these networks offer, to achieve better results. But it’s important to mention that direct and social are two different types of traffic. So it’s extremely important to understand their specificities and behaviors in order to interact with them. If the intent is to have more reach, engagement, sales, insights, conversions, and traffic it's important to start implementing a social media strategy. At MindSEO, we provide a service of social media strategy and optimisation so your company can achieve all your business goals. Depending on the networks used (Facebook, Twitter, Linkedin, Instagram, Pinterest) we develop independent strategies to take advantage of each network’s potential. After developing and implementing a social media strategy it’s imperative to regularly measure and optimise the social media presence. Knowing the impact of your company social marketing activities is critical to achieve your pre-established goals. At MindSEO, we have the knowledge and the tools to help brands understand the value of their social strategy in terms of ROI. 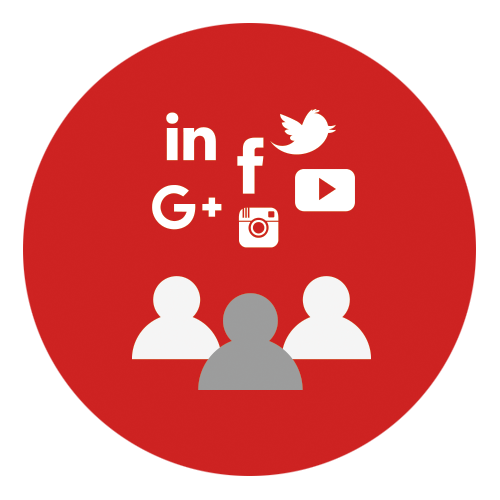 If you want to reach a larger audience and engage your audience to drive sales, contact us now and implement a successful social media strategy.